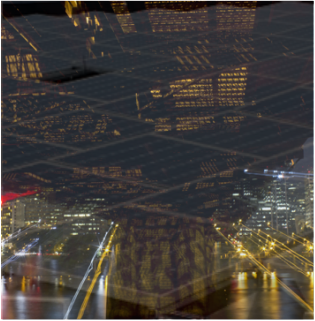 Microgrid Institute supports business development and policy initiatives with in-depth research and analysis focusing on market factors and policy frameworks. State governments, non-governmental organizations, and world-class corporations have commissioned and supported our research and analysis to support strategic planning and policy implementation. Microgrid Institute analysts currently are examining regulatory issues facing microgrid development in numerous fast-growing markets in North America. Forthcoming study report will focus on top regulatory barriers and strategies for overcoming them. FINAL REPORT presents findings in the Minnesota CHP Stakeholder Engagement Process and provides recommendations for development of a CHP Action Plan. SYNTHESIS REPORT presents and analyzes stakeholder inputs on the draft Minnesota CHP Action Plan. Microgrid Institute participated in Maryland Gov. Martin O'Malley's Microgrids through Resiliency Task Force and provided critical inputs on the state's proposed microgrid roadmap. Study report considers energy assurance and renewable energy integration, with a policy roadmap to facilitate microgrid development. A major multinational technology company engaged Microgrid Institute to analyze regulatory and legal issues in several key North American jurisdictions. Several municipal entities in a major metropolitan area engaged Microgrid Institute for a confidential assessment of potential strategic approaches and challenges to community microgrid development. A small private college engaged Microgrid Institute for strategic advice and regulatory guidance related to a campus microgrid project in collaboration with a municipal agency. July 21, 2016: Microgrid Institute Director Michael Burr provides an overview of community microgrids for clean-energy stakeholders on the Olympic Peninsula, in Jefferson County, Washington.